Last Updated: April 10, 2019 | Subscribe to our weekly newsletter! You just bought a new sand or diatomaceous (D.E.) filter, you get it home, unpack it, and … uh-oh. What the heck is this handle surrounded by all these settings? Why doesn’t the filter just have an on/off switch? Have you gotten in over your head? Not at all! You’ve made an excellent choice because not only are sand and D.E. 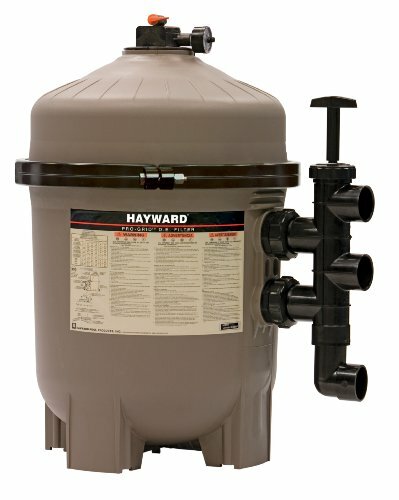 filters great at keeping your pool clean, they give you a lot of options to do several other things as well. What Does a Multiport Valve Do? Your pool filter can do so much more than just clean the pool water. Located on the top or side of the filter, the multiport valve’s numerous settings direct the pool water where you need it to go, allowing you to use the filter for multiple purposes. Need to clean the filter? Is it time to close your pool for the winter? The filter’s multiport valve makes all these filter-related tasks super simple. Well, obviously. This is the filter’s primary function is to filter the pool water to help keep it clean. It’ll remove small bits of debris, and depending on the type of filter you have, even some bacteria and other tiny contaminants If you click this link and make a purchase, we earn a commission at no additional cost to you. . The multiport valve will be on this setting more often than any other. Rather than removing the filtration media, the best way to clean a sand or D.E. filter is to backwash it. 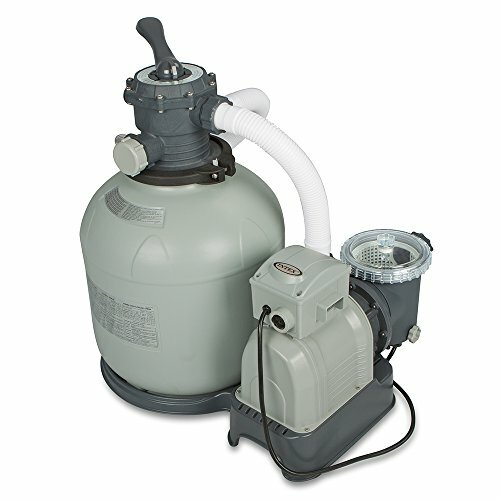 This setting will run pool water from the pump, through the filter, and out through the waste port, thereby cleaning the filtration media, whether it’s pool filter sand If you click this link and make a purchase, we earn a commission at no additional cost to you. 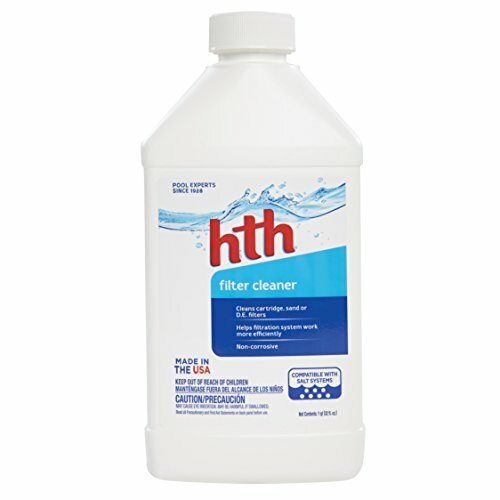 or diatomaceous earth If you click this link and make a purchase, we earn a commission at no additional cost to you. .
To get the media really clean, you can also use special filter cleaner If you click this link and make a purchase, we earn a commission at no additional cost to you. . 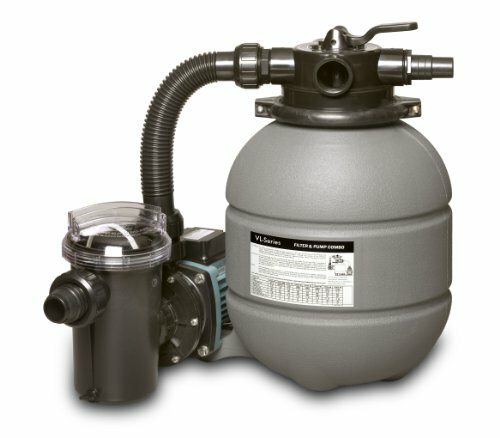 Note: You’ll know it’s time to backwash your pool filter when the pressure rises 10 pounds over the normal pressure rate. You’ve just backwashed your filter, loosening up dirt and debris. 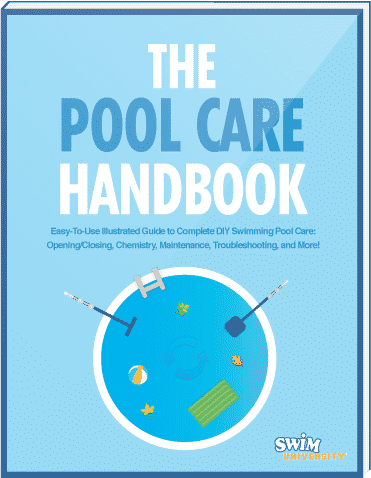 What do you need to do before you let water run through the filter and back into your pool? Rinse it, of course! Uh, the filter, not the water. It would defeat the purpose of cleaning your filter if you just let a bunch of dirt flow back into the pool. Be sure to use the Rinse after every backwash. You can use your filter to make things easier on yourself when you vacuum your pool. It’ll help pull leaves, dirt, and other debris out of your water. But you don’t want the stuff you’re vacuuming up to clog the filter. You also don’t want dirty water flowing back into your pool while you’re vacuuming. The Waste setting allows water to enter the filter, but bypass the filter media, and be sent completely out of the filtration system. Important: Make sure you’re disposing of expelled pool water correctly so you’re not damaging your yard or the environment. 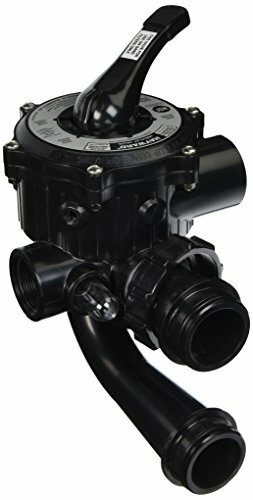 Note: When you use this multiport valve setting, your pool’s water level will drop. Before you begin vacuuming, insert a hose into the pool to replace the water you’re removing. Remember this means you’ll have to balance the water afterward. There may be times when you need to circulate your pool water without filtering it. One example of this is when you use a pool clarifier called flocculant. If your pool is cloudy, flocculant will corral the particles cloudying the water If you click this link and make a purchase, we earn a commission at no additional cost to you. , allowing you to vacuum them up, thereby clearing the water. 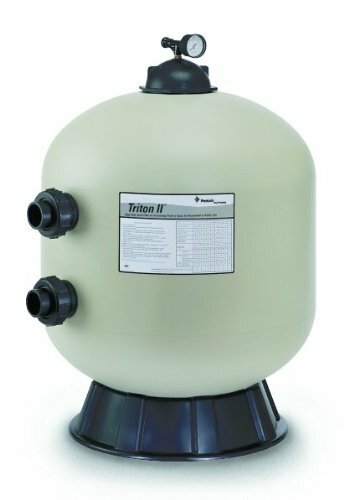 You need the filtration system to run in order to circulate the flocculant, but you also need it to remain in the water to do its job, so you don’t want to filter it out. 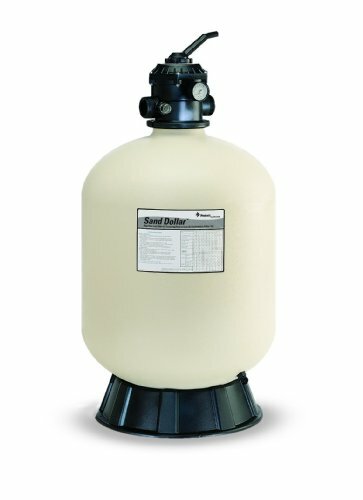 The Recirculate setting allows water to move through the filter without going through the filter media. Note: You can also use the Waste setting for this if you’d rather completely remove the dirty water rather than recirculate it back into the pool. That’s probably a better option to ensure all the particles you’re trying to remove are actually removed. As the name suggests, this setting closes the valve so no water can enter it. You may use this setting if you’re blowing out the lines when you open your pool. The truth is, though, you’ll hardly ever need to use this setting. Other settings (usually just Filter) work better for this function. Important: Never turn on the pool pump while the multiport valve is on the Closed setting. You could blow out the filter, the pump, or both. When you’re putting your pool to bed for the winter, you’ll want to turn your filter’s multiport valve to the Winter or Winterize setting. It’s usually located between the Waste and Closed settings, without a groove to lock the handle in place. Because the handle doesn’t settle down into a groove the way it does with the other settings, the valve diverter is pushed up so it’s suspended about ¼ inch above the ports inside the valve. This is important because that space allows any water left inside the valve to expand when it freezes, but not crack the valve body or damage the filter. Using a sand or D.E. filter with a multiport valve gives you several ways to clean and maintain your pool, with just a little effort on your part. Don’t let all those settings intimidate you. Master each one, and in no time, you’ll be filtering your pool like a pro, and enjoying it the way you should.